You probably knew that William S. Burroughs had experimented with some unusual ideas during his time — but did you know he joined the Church of Scientology? 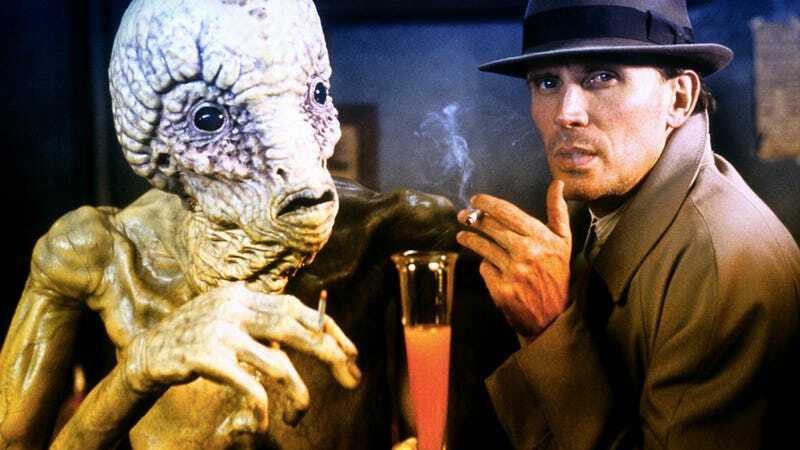 Pop Apocalypse author and English professor Lee Konstantinou reveals the secret history of how Burroughs almost became an Operating Thetan. Scientology appears again disguised as the "Logos" group in Burroughs's 1962 novel The Ticket That Exploded. As described in the book, Logos has "a system of therapy they call 'clearing'. You 'run' traumatic material which they call 'engrams' until it loses emotional connotation through repetitions and is then refilled as neutral memory' When all the 'engrams' have been run and deactivated the subject becomes a 'clear.'" In the 1964 novel Nova Express, Scientology is for the first time openly described in Burroughs's fiction. During an interrogation scene in the book, an unnamed character declares "The Scientologists believe sir that words recorded during a period of unconsciousness… store pain and that this pain store can be lugged in with key words represented as an alternate mathematical formulae indicating umber of exposures to the key words and reaction index… they call these words recorded during unconsciousness engrams sir… The pain that overwhelms that person is basic basic sir and when basic basic is wiped off the tape… then that person becomes what they call clear sir." Lee Konstantinou is author of the novel Pop Apocalypse and a professor at the University of Maryland at College Park. This io9 Flashback originally appeared in 2011.